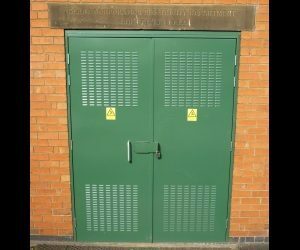 MDM Security Doors provide Steel-tec Fire Exit Doors for external opening applications on agricultural, industrial and commercial premises for rapid personnel exit in the event of fire or emergency. 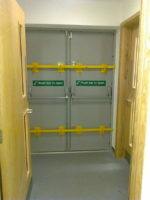 Fire Exit doors can be manufactured in single leaf, leaf and half and double leaf configurations. 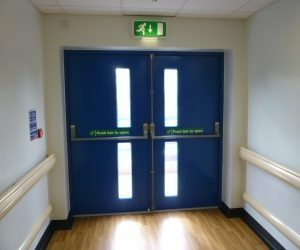 Fire exit doors must be kept unlocked when the building is occupied, so that in the event of an emergency personnel can just push the panic bar and exit the building as quickly as possible. 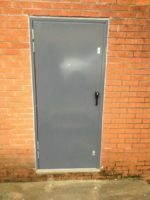 Having said that Fire Exits can be fitted with an external access facility (in the form of a lockable handle or knob) enabling the door to be used as an entry/exit door but still have the fire exit facility. 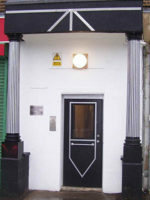 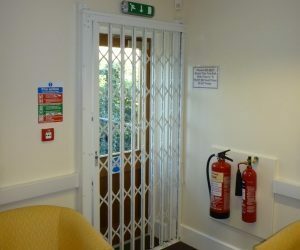 As a designated fire exit a fire exit door must open outwards. 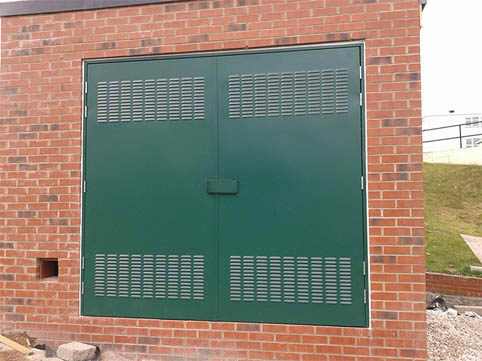 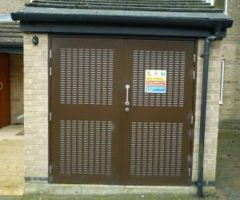 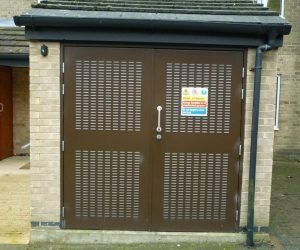 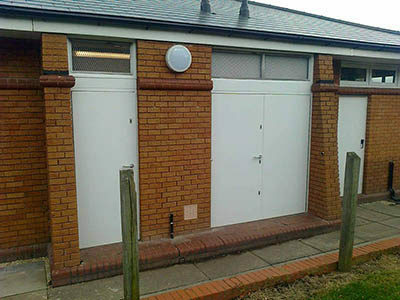 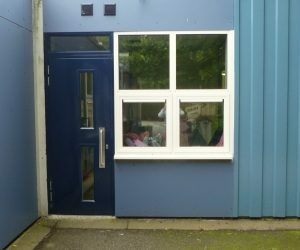 Our doors are fitted with dog-bolts and integral anti-jemmy strips as standard, providing a secure door as well as a functional emergency escape. 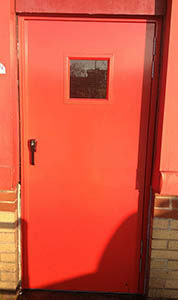 Every MDM Fire Exit Door is individually designed and manufactured to your specific requirements. 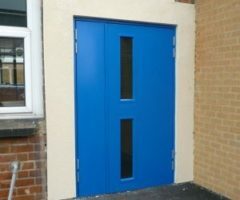 You won’t be expected to wait 4-6 weeks for a made-to-measure door, as is common with many companies. With MDM Fire Exit Doors we can guarantee a rapid turnaround – usually within 15 days. 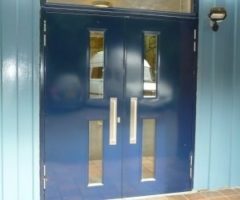 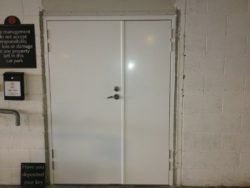 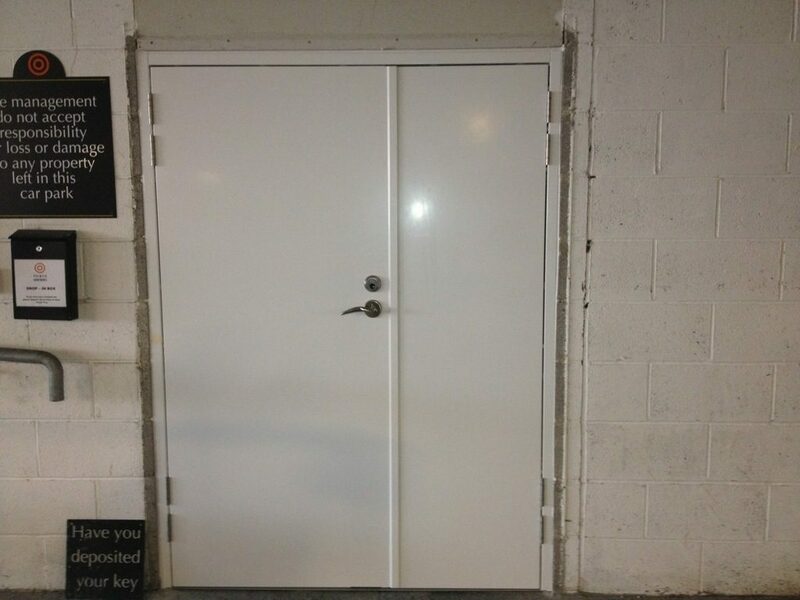 An MDM Steel Fire Exit Door will provide rapid personnel exit as well as having better security advantages over traditional constructed doors in timber, aluminum or pvc. 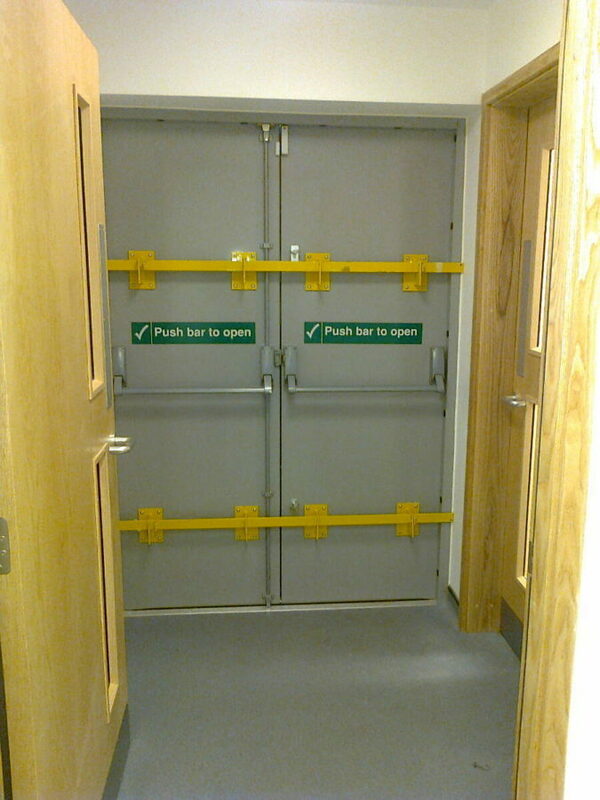 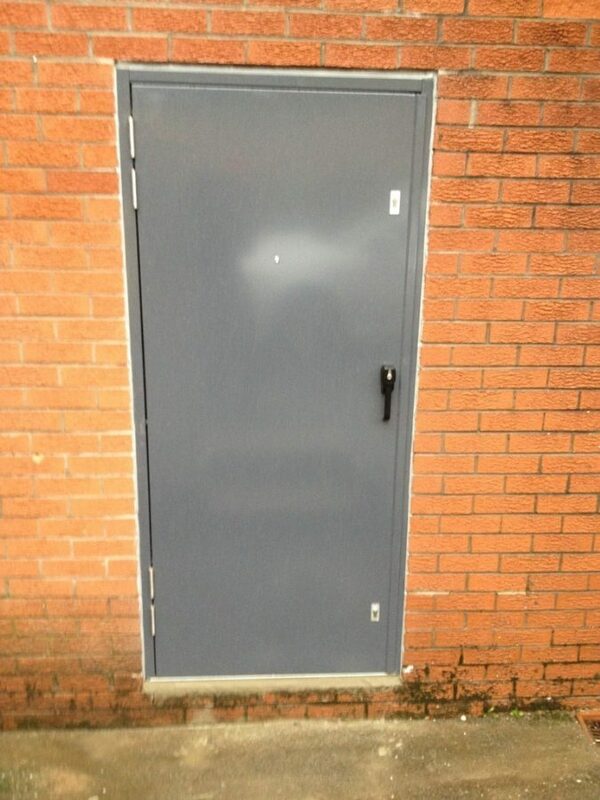 MDM Steel Fire Exit Doors are robust and strong, and when installed correctly can be extremely difficult to breech. 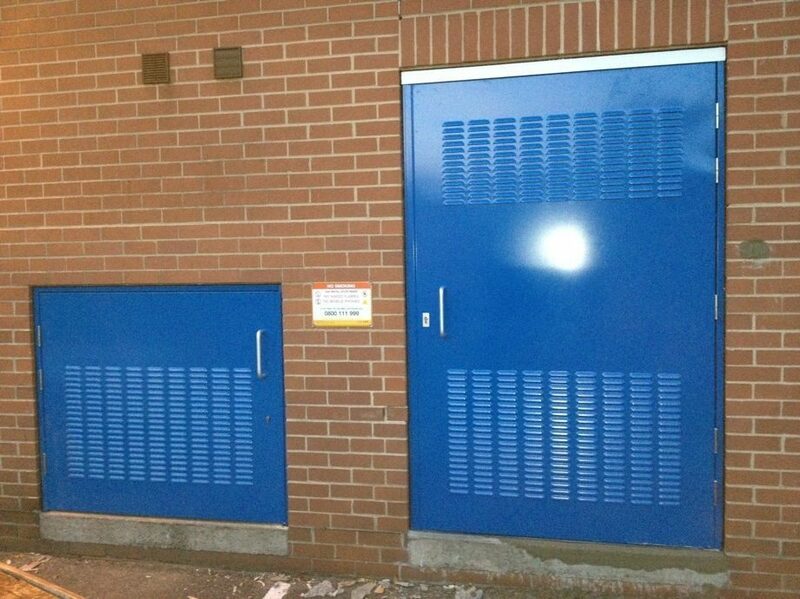 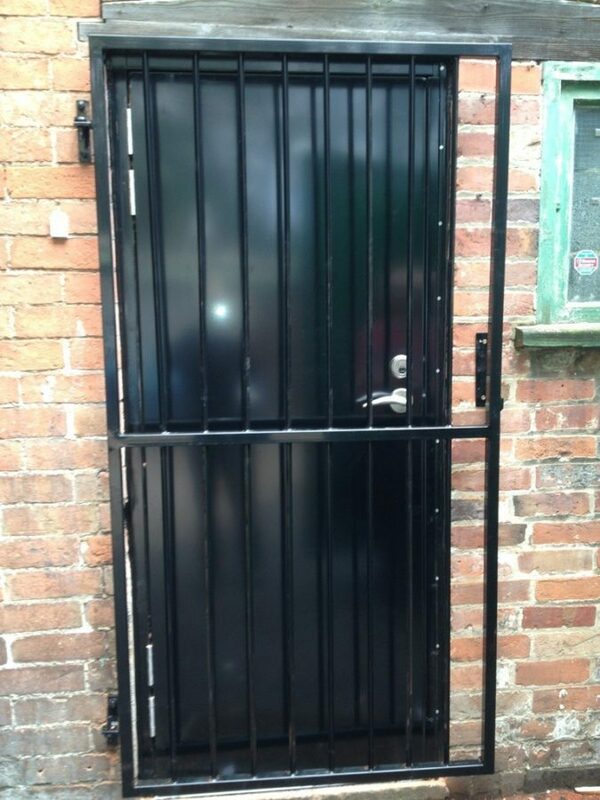 Modern hollow steel doors offer a solid, secure solution that looks good to. 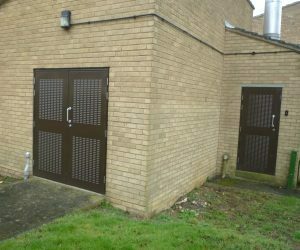 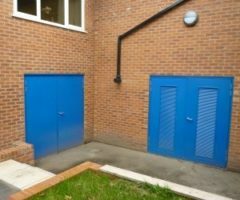 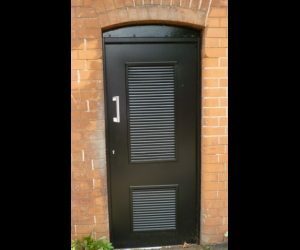 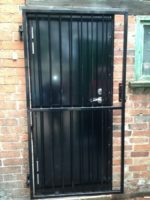 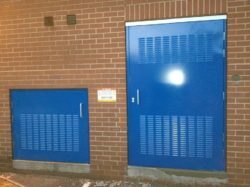 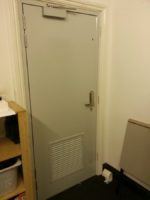 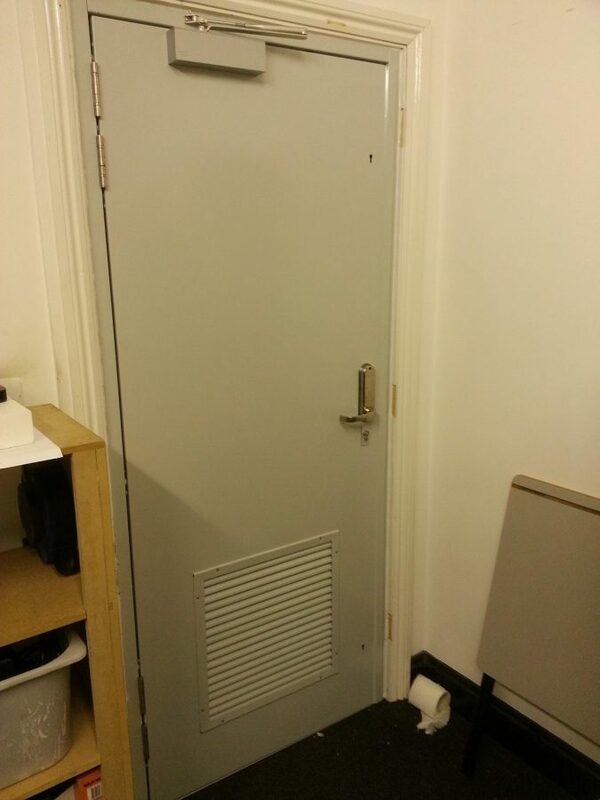 Steel Fire Exit doors can be fitted with the same optional extras as exit doors such as letter boxes, spy viewers, kick plates, vision panels, and louvred panels for ventilation. 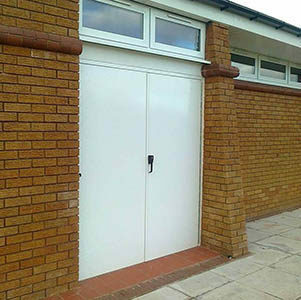 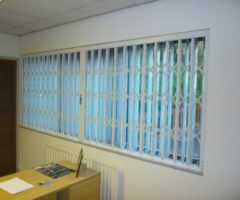 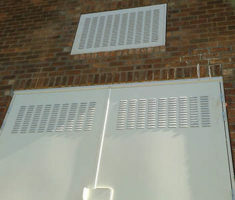 For larger openings fixed side panels and top panels are also available; these can be solid or glazed. 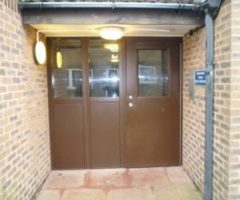 Single Fire Exit Doors & Frames providing security for fire escape routes in all types of buildings are for openings between 750-1470mm wide x 1750-2950mm high. Leaf & Half Fire Exit Doors & Frames providing security for fire escape routes in all types of building are for openings between 1201-1830mm wide x 1750-2950mm high. 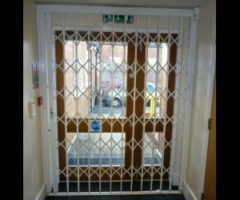 Double Fire Exit Doors & Frames providing security for fire escape routes in all types of buildings are for openings between 1800-2830mm wide x 1750-2950mm high. 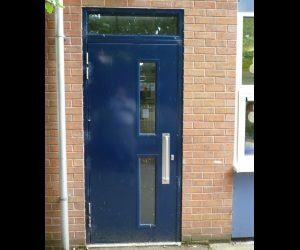 Our doors are the best way of securing a doorway and a visual and physical deterrent against attack and attempted break in.